Artistic expressions through Terracotta simply stun! 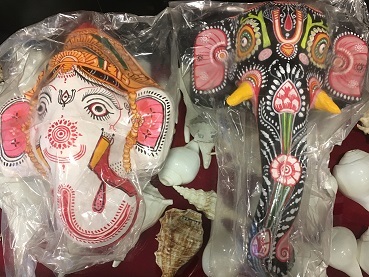 There are idols and also designer vases among others. In Odisha, one can find mind-boggling decorative show-pieces designed from coir! 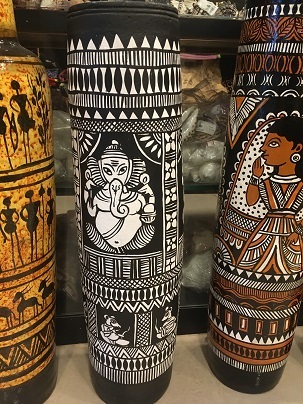 Ancient methods are still being followed by the tribals of Odisha , who continue gifting the world such Dhokra craft treasures. 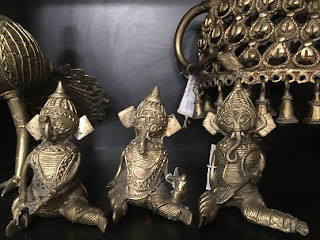 Artistic and creative expressions cast magic spells on metal and makes the crafts sell! 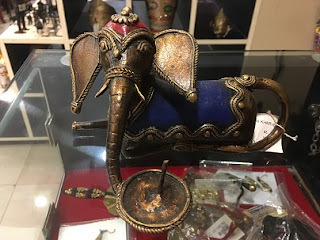 This sculpture, actually a lamp, has both Ganesha and Kamadhenu (the wish-fulfilling cow). Delicately carved wood crafts are such a treat! 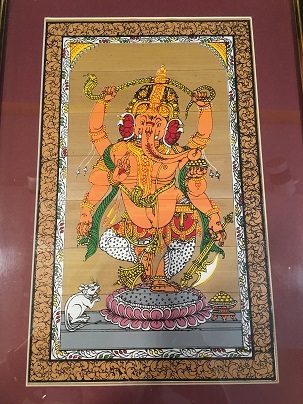 Apart from idols, there are also wooden Ganesha wall-hangings. These were just a few of the interesting treasures I got to showcase. Need to write more posts for the other impressive Odisha handicrafts. 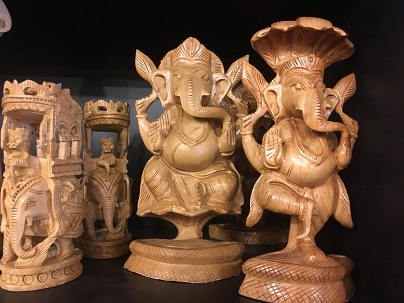 Which of these handicrafts do you love best? Do share your comments. All images are copyrighted to me. I love those designer vases. They look great!! 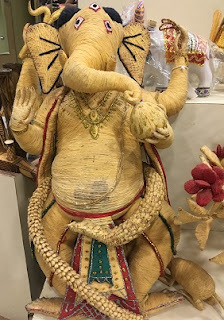 Amazing handicraft work. I feel proud to see them. Indeed Anita... on this side of world probably less then on your side of the world but still. You've collected a wonderful series of art... I know some elephantlovers who would love to one some of it. I like all the craft styles. The coir style intrigues me the most at the moment. Lots of interesting items there. 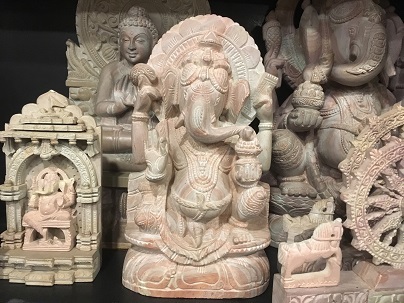 Wonderful crafts collection of Lord Ganesha!